The exhaust is a vital part of your engine’s emission system. It helps funnel away the gaseous products of the combustion process that drives your car, via a set of pipes that are connected to the top of the cylinder heads. We have already covered the parts and purpose of the exhaust in an earlier blog which can be viewed here. 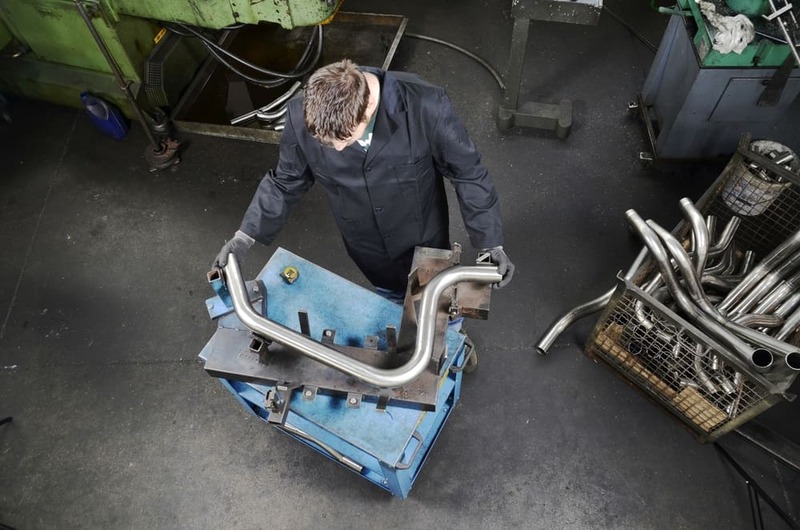 Where we cover the parts that make up the exhaust, together with a process for changing them. However, how do you know that your exhaust needs changing? What are the warning signs that you should be looking out for, and are there any simple tests that you can perform? – Scrape away surface rust – brush off the rust from the exhaust system and inspect it for small holes. These can draw in air from outside the system, igniting any unburnt fuel, which could cause a backfire in the exhaust and further damage to your car. – Inspect joints and connections – here you are looking for streaks of soot and black marks around the connections and flanges. If you come across these tell-tale signs of gas escape, then you may be able to solve the problem by simply tightening the clamps or replacing them if the studs are rusted. – Check the supports – older systems use straps to hold the exhaust manifold to the car, whilst newer systems use rubber loops. In either case check that these are placed correctly around the car’s bodywork and that they have the right degree of flexibility. – Catalytic convertor problems – a sure sign that your CAT is breaking up is a small rattling sound coming from the unit. This may mean that the part needs replacing. The best way to care for your CAT is ensuring that you engine is running well and not leaking excess fuel into the unit. – Diesel particulate filter – this unit combines with the CAT to remove particles of soot from the exhaust system. However it is designed to work at certain temperatures that require you to run the engine for more than a set amount of time. If you are using your vehicle for lots of small trips it is advisable to take it out for a half hour plus drive every month to clean this part. You will often know when you have an exhaust leak thanks to the loud rasping noise put out by the system. Unfortunately as the waste gases from the combustion process tend to be very hot when they come out of the engine this also heats the exhaust up to a level where it is unsafe to touch, preventing you from inspecting the system whilst the engine is running. However, you can use the following process to find a leak within your exhaust system. You will need a vacuum cleaner with a hose and a piece of pipe with a funnel attachment. – Ensure the engine is off – Before you start on this process always make sure that the engine is off and has had time to fully cool. The exhaust system can retain heat for a good while after the car has been shut down and can burn you on touch. – Connect the vacuum – using the cleaner hose connect the vacuum up to the tailpipe of your exhaust. This is the final part of the exhaust system where the gases leave the car. Turn the vacuum cleaner on so that it is sucking air through the exhaust system. – Use the pipe and funnel – the pipe and funnel acts a little like a doctor’s stethoscope. Use it to listen to the various parts of the exhaust system. You are seeking a hissing sound that indicates a leak, which can be verified by pressing your finger over the trouble area. A sound change confirms that this area is leaking gas. – Keep checking – Once you have found a leak you can always make it temporarily good with a small piece of blue tack or tape. This will then allow you to explore the rest of the system looking for further leaks. Always be sure to remove any temporary measures that you have placed on the exhaust system before running the car again.